I wear high-heeled ankle boots more than any other kind of footwear throughout autumn and winter. Oh. And wellies too. But I wear wellies, albeit stylish ones, out of necessity. It’s perhaps more accurate therefore to say that high-heeled ankle boots are my footwear of choice when dressing up or going out. They’re versatile. They work with dresses and skirts of all lengths but look particularly good with midis. 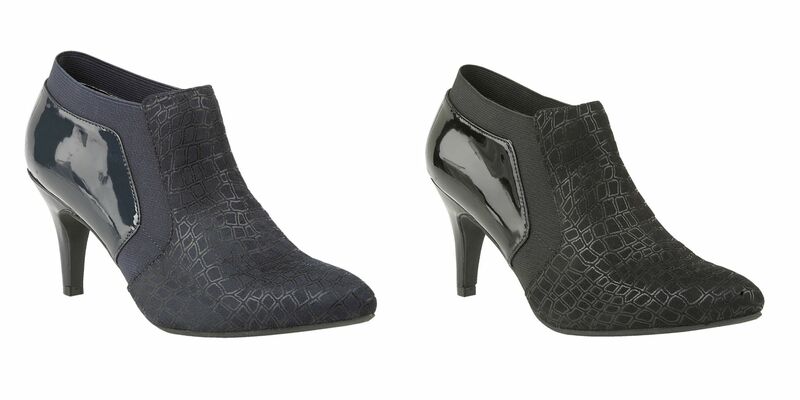 Trousers and jeans need not feel left out either because there’s an ankle boot for every style and cut. Here are some of my outfits with high-heeled ankle boots. Click on to the photographs to take you to the original blog post to see more. I’ll add new ideas and outfits throughout the next few months as I wear them too, so keep checking back for more ideas. In the meantime, have a look at these ones and make sure you enter the giveaway at the end. In my previous blog post, I’m wearing coated leggings with grey high-heeled ankle boots. If the boots have interesting style details like these ones do, make sure the trouser leg finishes above the top of the boot. 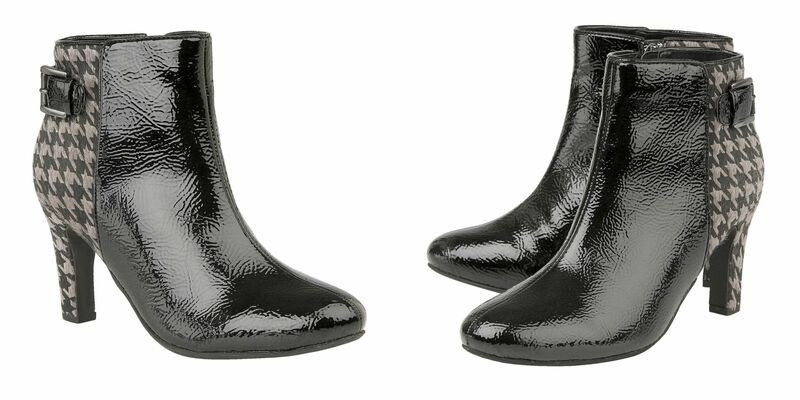 These leggings allow the buckle and the contrasting sole and heel to be seen. 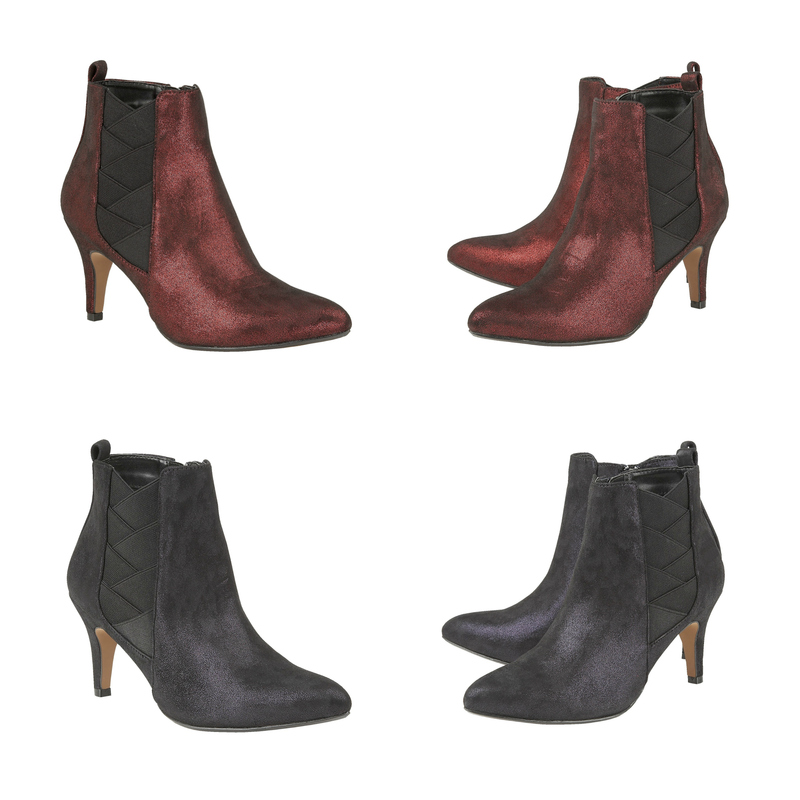 These houndstooth check ankle boots can almost be classed as a shoe-boot because of the shallow cut. The check makes a statement and on this occasion, I chose the outfit to go with the boots. A simple black narrow trouser provided the perfect foil for these headturners. 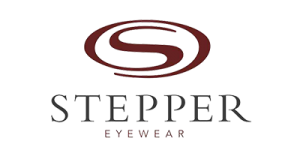 Let the footwear speak for itself and be the star of the show by keeping everything else simple. 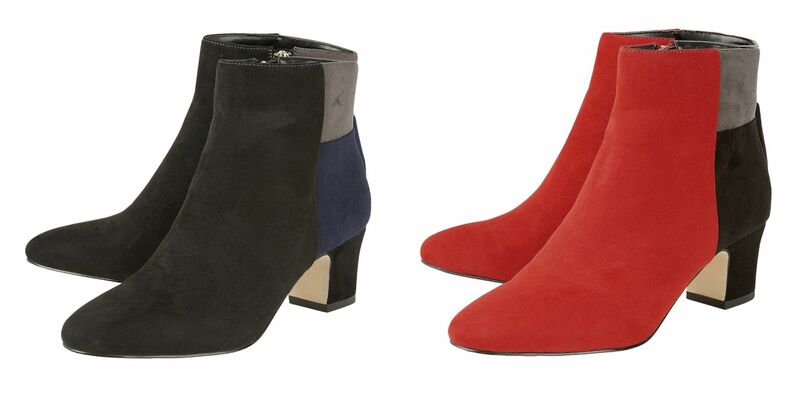 Ankle boots work very well with wide-legged trousers too. Make sure the trousers are long enough to cover all but the toe of the boot. 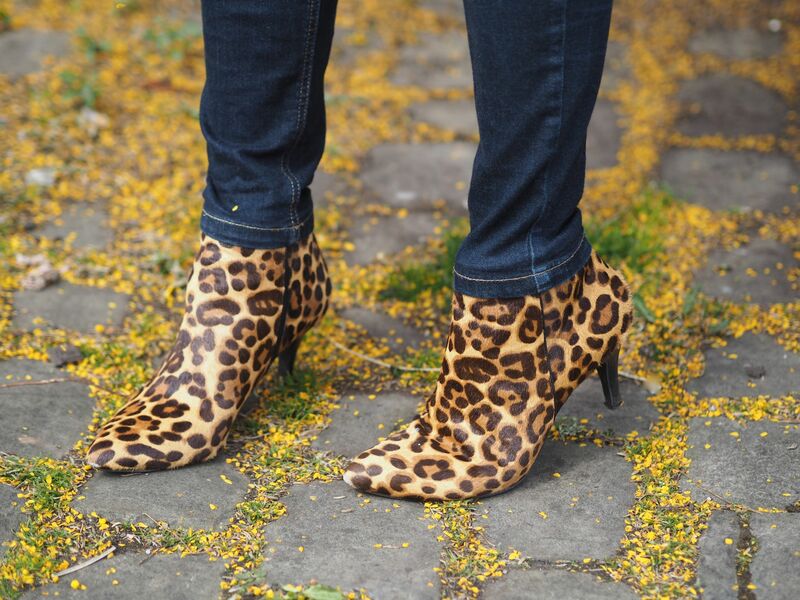 Wearing ankle boots with skinny jeans isn’t as easy as it sounds! Often, the bottom of the jean sits on top of the boot, so causing the jeans to wrinkle up. There are a few ways around this. One is to tuck the jeans in. I tried this but found they kept popping out, so I used the second method which is to put the jeans over the top of the boots. A third way is to roll the jeans up. 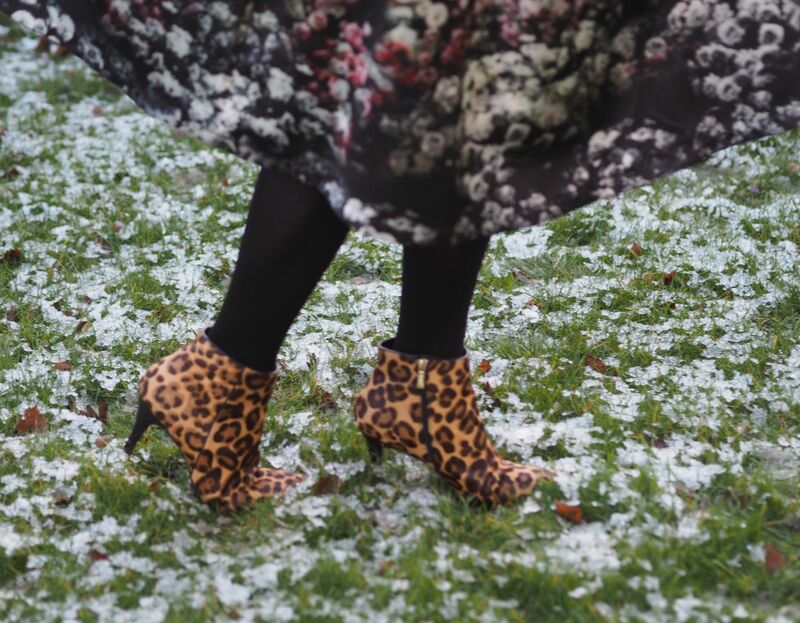 These leopard print boots have proved to be very hard-working. 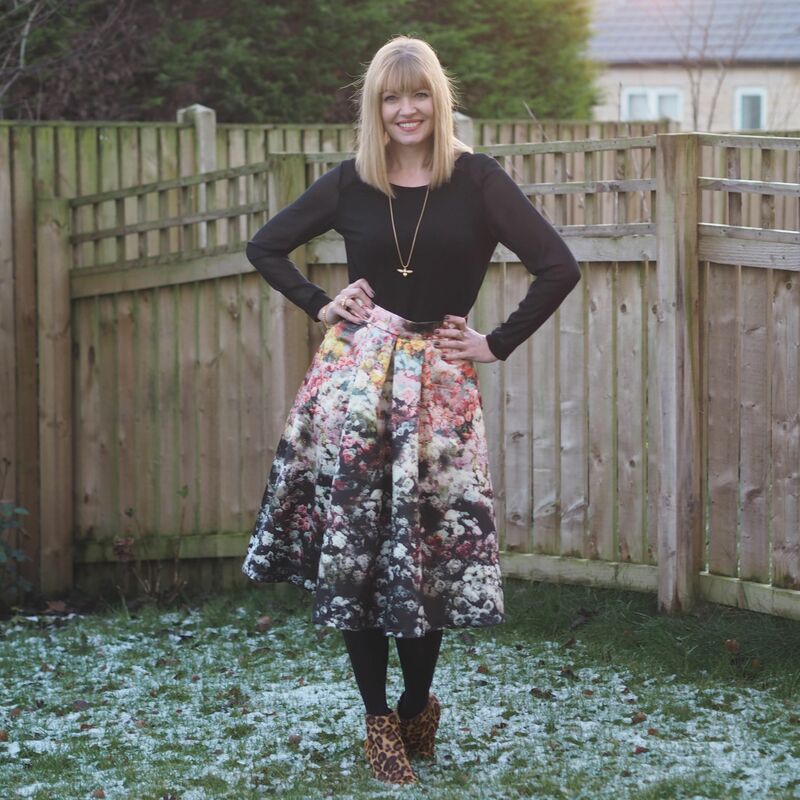 I treat leopard print as a neutral any way, but these worked beautifully with a floral midi skirt, (see below), as well as with boyfriend jeans and black narrow trousers. The key to wearing ankle boots with both skirts and dresses is to look at where both the hemline and the top of the boot sit. Make sure the hemline of the dress doesn’t cut across the calf at the widest point and that the ankle boot doesn’t cover the narrowest part of the ankle. 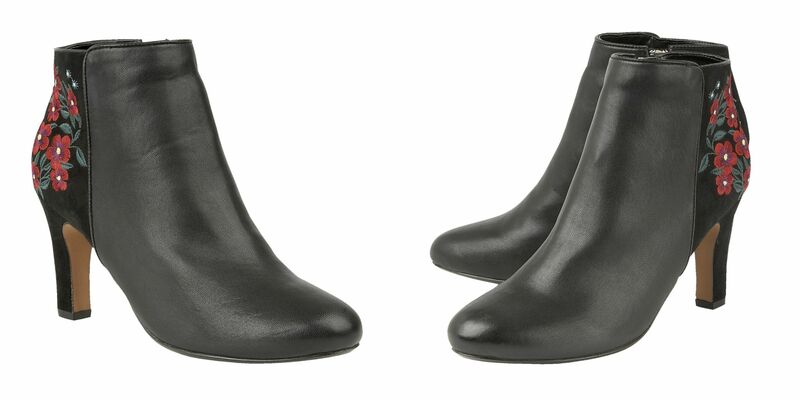 I recommend an ankle boot that is shallow at the front. One of my favourite footwear brands is Lotus. My leopard print, the grey microfibre ones with the buckle and the houndstooth check boots in the photographs above are all from there. 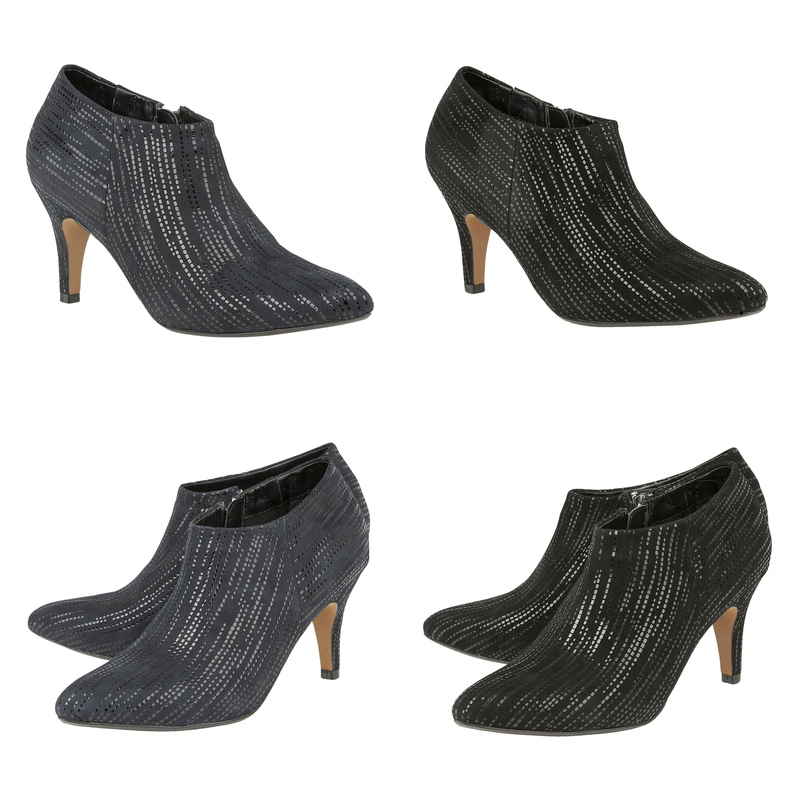 Do head over and take a look at the new collection of ankle boots, but before you do, have a look at what I consider to be the standout styles from the latest collection. The block heel is still a very current, (and very comfortable), style detail. The same is true for wedge heels. Embroidery was a huge trend over summer and it’s set to stay for the new season. 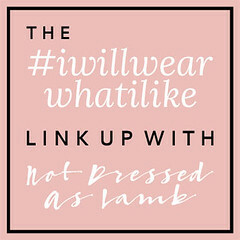 This post was sponsored by Lotus who are giving you the chance to win a pair of ankle boots of your choice from their website. The competition is facilitated by Rafflecopter and it closes at midnight on Friday 22nd September when Rafflecopter will select the winner. Thank you for supporting the brands that support What Lizzy Loves and good luck! 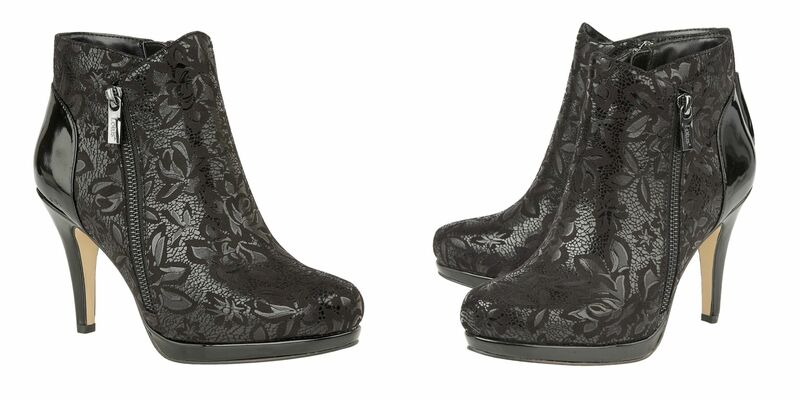 You have some gorgeous boots Lizzy and great ways of styling them. Every pair you have is gorgeous, Lizzy! And I love how you’ve styled them all!